Anxiety is a condition that millions of people in the United States struggle with each day. Some elderly adults do not have anxiety until later in life, but it does end up making it difficult for them to complete their daily tasks. From thinking about their family to finances, there may be a number of thoughts going through their mind, which will worsen their anxiety. Some elders need help from a senior home health care provider to complete some of their tasks. This is a very common condition, but the more you know about it, the more you or the senior home health care provider can help the elder. In this day in age, anxiety and depression are spoken about openly, and are (usually) met with understanding and open-mindedness. In the past, though, even as recently as just a few years ago, anxiety and depression were seen as supposedly “shameful” or “all in one’s head,” or just not spoken about, at best. This is one of the reasons why, up until very recently, anxiety was thought to decline as one got older. According to research, fewer seniors had anxiety than teenagers or adults up to middle age, so some people just stopped worrying about this. They didn’t see it as a possible problem, because why worry about something that supposedly rarely occurs in seniors? Unfortunately, though, this attitude was based on flawed information. Many seniors just never reported any feelings of anxiety or depression, because they didn’t feel that it was something that should be spoken about out loud, even just inside the family. These seniors were also more focused on their physical pain than their mental anguish or discomfort, so they tended to report just the things that ailed their bodies, not their minds and emotions. Now that scientists know the flaw in their research, they know that anxiety is just as common in senior citizens as it is in people of other age groups. This is vital information because this knowledge can not only be used to help seniors feel better, but it can also make speaking about their anxious or depressed feelings feel less taboo. The most common type of anxiety in the elderly is generalized anxiety disorder (GAD). This is usually anxiety that appears without one single set reason, or as a result of a build-up of tension. The senior is often frequently anxious, fearful, and stressed without really knowing why. Other anxiety disorders that are common in seniors are more similar to post-traumatic stress disorder. This can be caused by the loss of a loved one, a serious illness, or even lingering anxiety from a bad fall. If you or your senior care aide have noticed these symptoms in your aging loved one, first check with a doctor to see if they are being caused by a different medical condition. Then, try talking to your loved one to try to find out what is causing the anxiety. Ask them if there are certain things that seem to trigger the anxiety, or if there is anything in their life at the moment that is worrying them or giving them stress. You should also ask them when they first started to notice the anxiety, and if they have trouble calming their racing mind. Ask them if they often get a thought stuck in their head that just keeps going around and around, as much as they would like to stop dwelling on it. This is one of the trademarks of anxiety and can be one of the most bothersome symptoms. Is there something that terrifies your parent? If so, they could have a phobia. There are two types to be aware of: social phobias and special phobias. Social phobias occur when the elder is afraid of going out in public because they are worried that they will embarrass themselves. They may be worried for days over an event that is coming up. Specific phobias are things that someone is extremely afraid of, like animals, heights, or flying. Learning how to stay calm when their anxiety starts to flare up is the best thing your loved one can do. In order to make sure your loved one relaxes, here are some ideas that will help. 1. Deep breathing. People with anxiety often hold their breath without realizing it. This can actually make their anxiety worse. Try deep breathing instead because it will help the elder stay calm when they begin to feel anxious. 2. Exercise. Regular exercise is a great way to relieve anxious feelings. Walking, swimming, and dancing are all great ways to get plenty of exercise. 3. Avoid caffeine. Caffeine can actually heighten anxiety, so your elderly loved one should avoid having anything with caffeine in it. 4. Try yoga. Not only will yoga improve the senior’s flexibility, but it is also an excellent way to promote relaxation. Some gyms offer yoga classes that are tailored towards older adults. If you and your parent are unable to find any in their area, yoga DVDs can be purchased. Anxiety can be a debilitating condition that can make it very difficult to do day-to-day tasks. By following these management tips, your loved one will be able to relieve themselves of their anxious feelings. 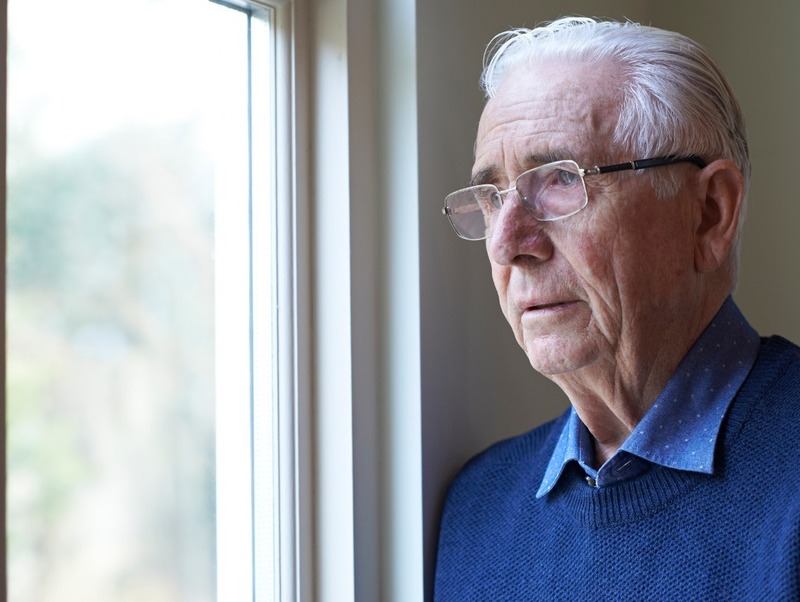 Luckily, more research is being done on anxiety in seniors every day, but the important thing to note for now is your loved one should not feel alone if they are having these feelings. If you or an aging loved one are considering companion care services in Florida, contact the caring staff at Sonas Home Health Care. Call today (888) 592-5855.